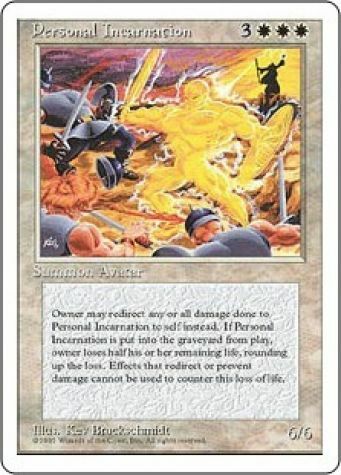 : The next 1 damage that would be dealt to Personal Incarnation this turn is dealt to its owner instead. 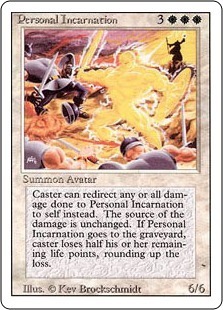 Any player may activate this ability, but only if he or she owns Personal Incarnation. 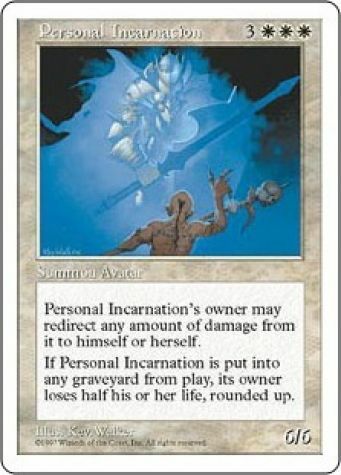 When Personal Incarnation is put into a graveyard from the battlefield, its owner loses half his or her life, rounded up.